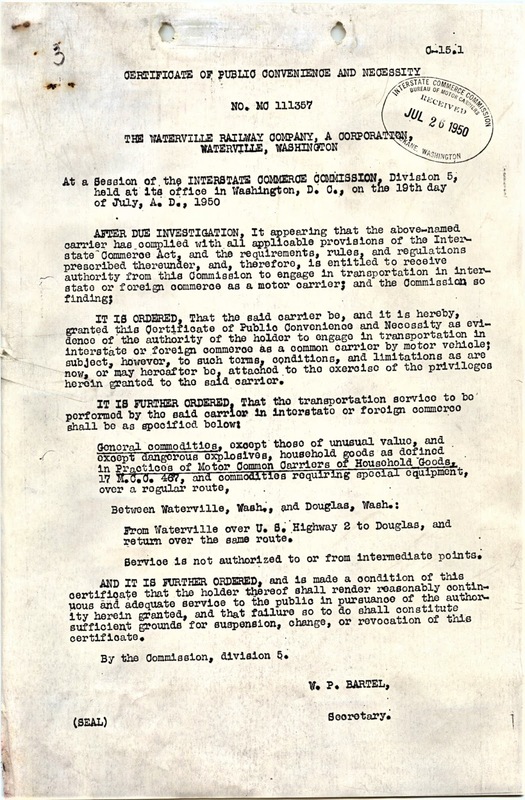 Big Bend Railroad History: 1950 Waterville Railway Certificate Of Public Convenience. 1950 Waterville Railway Certificate Of Public Convenience. Courtesy of Darrin Nelson. See his fine blog here. ICC Inquiry Letter From The Waterville Railway.